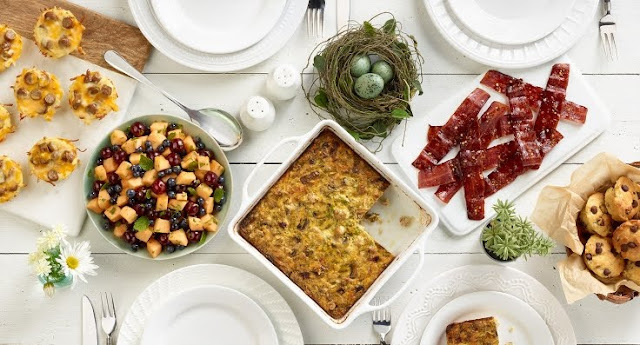 If you are searching for some great Easter recipes and menu ideas, I have quite a few for you, thanks to Jennie-O, I was looking for some inspiration beyond the traditional Easter dinner, I found this incredible picture with ALL RECIPES on Jennie-O for an Easter brunch! Can you say candied bacon? Check out all the menu ideas HERE and let me know your favorites in the comments!